The 300+ tasting notes from Part II of the 2014 Vintage Report are now available via the database integrated in CellarTracker. In addition, the Issue also provides detailed tasting notes for over 100 recommended wines from a further 30 Estates. Tasting Notes Database | Access it Now! Mosel Fine Wines has published over 5,000 tasting notes of Mosel Wines and Riesling in general since its launch in 2008. These tasting notes are accessible via a searchable database to susbscribers to both Mosel Fine Wines and CellarTracker. 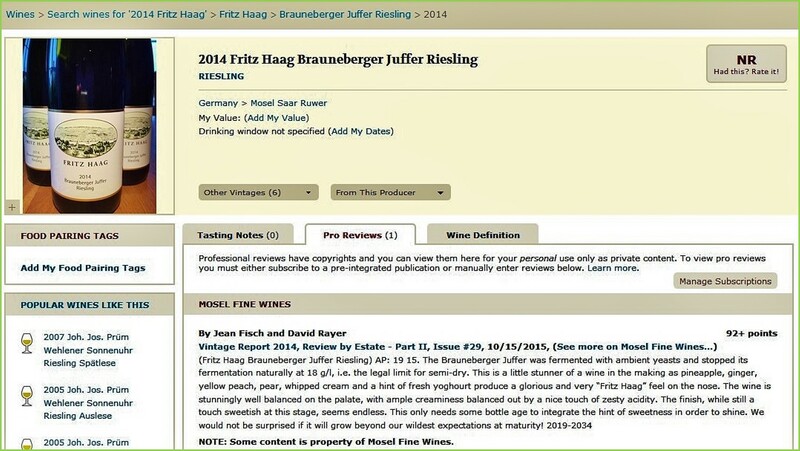 You will find here all information required in order to access the Mosel Fine Wines tasting notes database.